Teach Easy Resources: How Much is that Doggy in the Window? 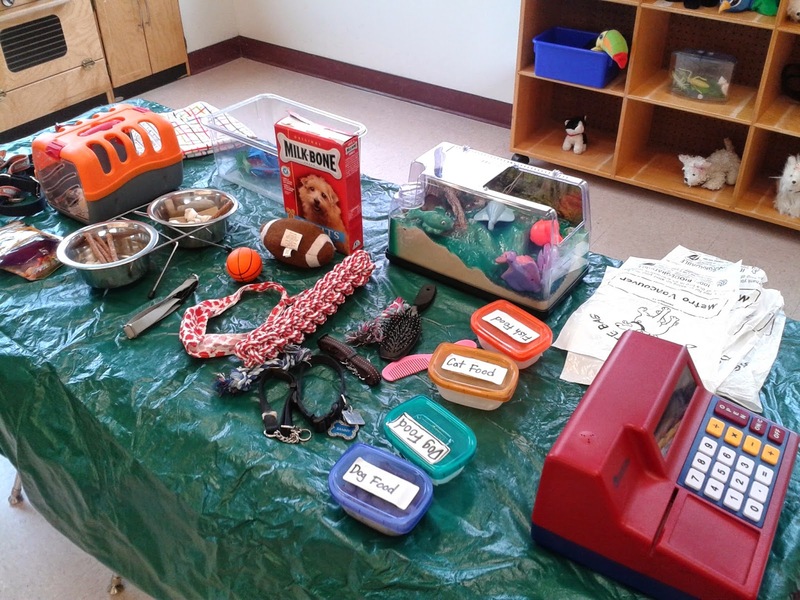 Set up a Pet Store in Your Classroom! How Much is that Doggy in the Window? 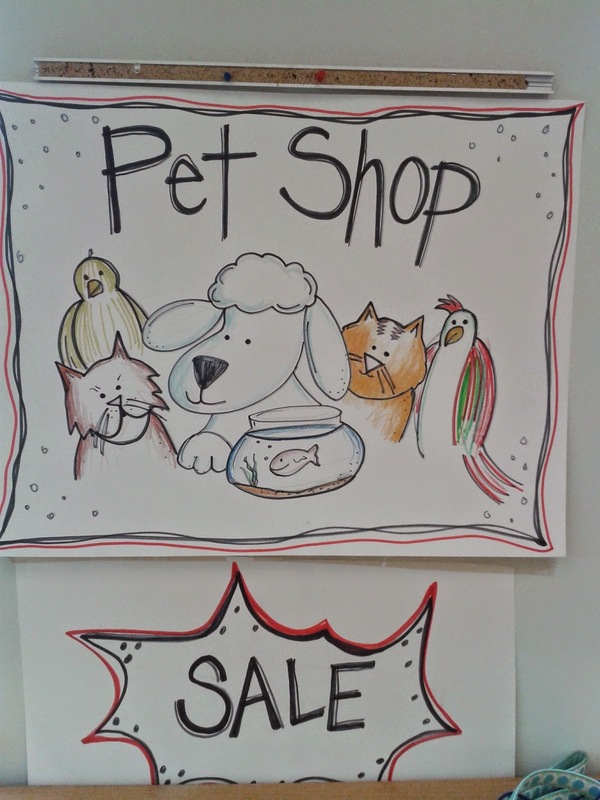 Set up a Pet Store in Your Classroom! Our PET theme has been lots of fun for the kids this week. 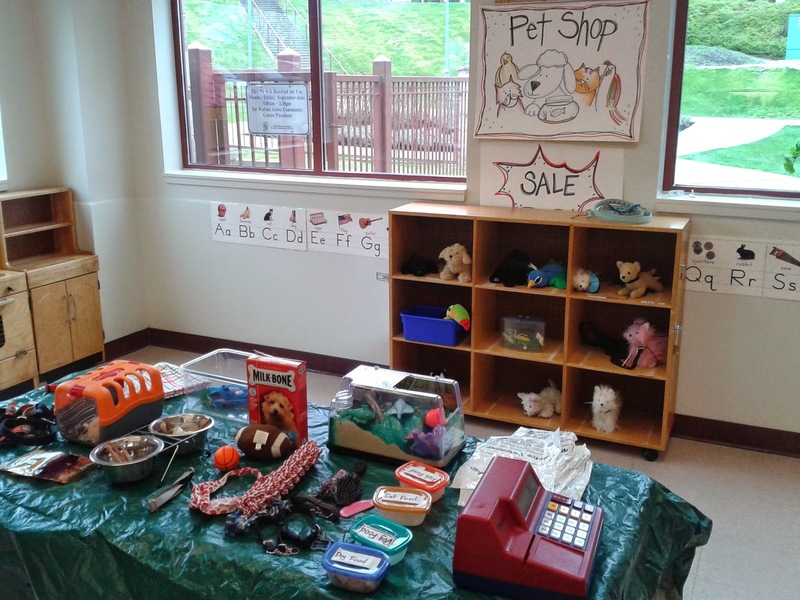 Part of the fun came from the PET STORE we set up in the dramatic play area. This sign for the shop was a bit of a quick one (plus my felts were running out, as usual! ), but it still helps set the stage for the shop. My co-teacher and I both have pets so we raided our cupboards and closets to find extra leashes, bones, dog treats, and other paraphernalia to sell at the shop. And here's our store - open for business! As you will note on the shelves under the sign, we included a collection of animals to sell. Here is a closer shot of some of the goodies we laid out. Note: You may just want to give the children a reminder not to eat the dog food. We had a couple of curious kids give the bones and treats a few licks! Here you'll see our collection of "doggy bags." 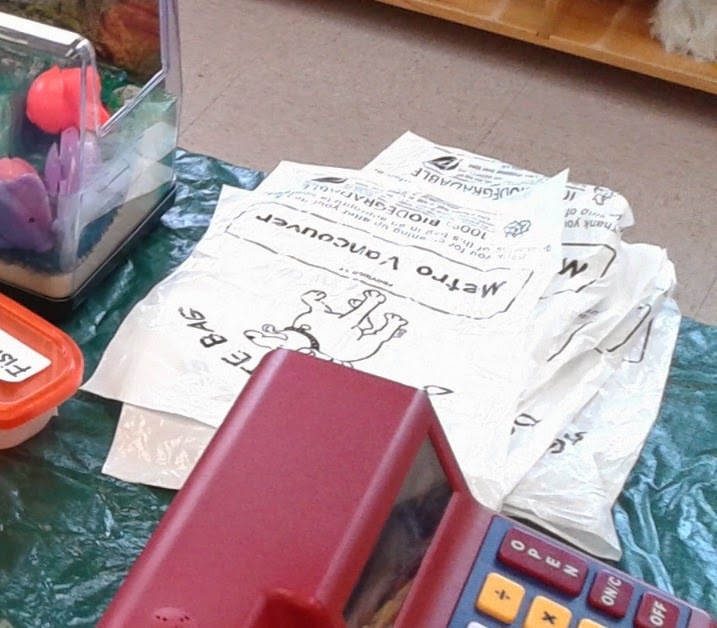 When setting up the shop, we had joked about crumpling some brown paper and leaving it on the floor for the children to put in the bags (teaching good citizenship! ), but in the end we decided that might not be appropriate. So...the bags were used for shopping! 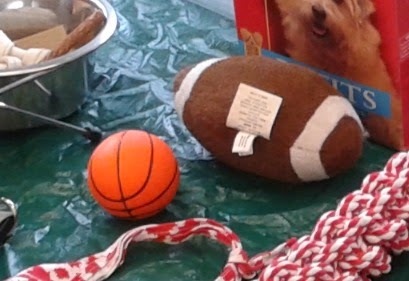 The balls were used for playing fetch and roll. 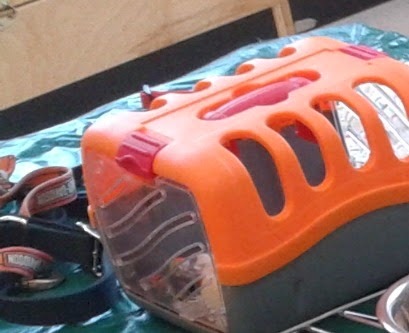 And the leashes and pet crate were used for walking their new pet friends around the classroom.